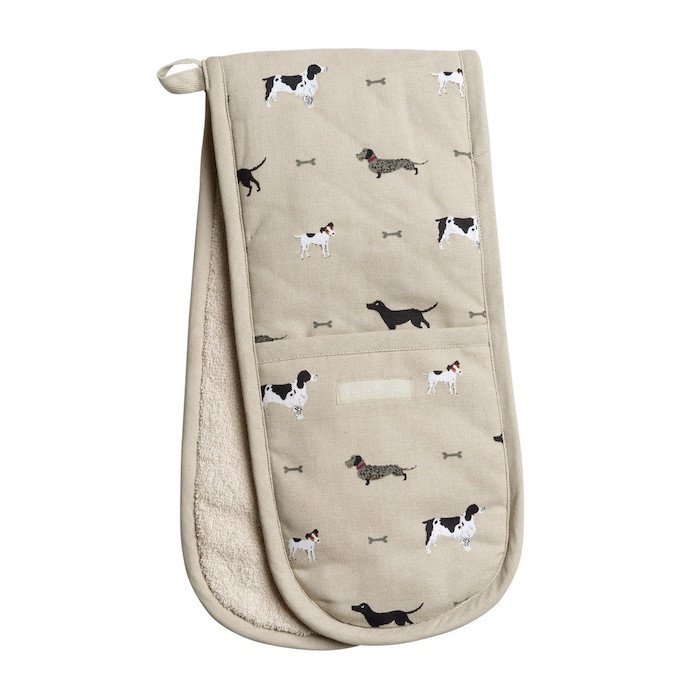 When you're cooking, these heat-resistant double oven gloves will keep the heat off your hands when you're removing hot pans from the stove and casseroles from the oven. Illustrated with images of wire haired dachshunds, springer spaniels, cocker spaniels, black labradors, pugs, jack russells and fox red labradors on the wheat beige background. Tidy your oven gloves away using the handy cloth loop in the centre of the gloves. Size: 18cm x 84cm. Machine washable.